A divorce procedure that involves children and the legal matter of child custody is considered to be one of the most difficult legal problems, as well as one of the most emotionally charged and deeply disturbing dramas in one’s life. Whatever the reason for ending a marriage is, usually both parents are ready to fight fiercely for their rights towards children and the mere custody. Traditionally, in most cases, family law judges and courts were assigning kids to mother and organized a schedule of visitations and list of mandatory duties for a father. 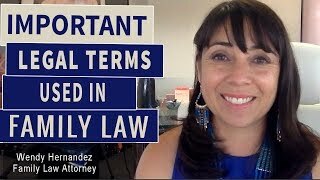 Modern trends in family law have brought some significant changes on the matter. Thus most judges nowadays follow the so-called best interest of the child when making the final decision. This means including and considering a wide range of factors and features from child’s point of view, striving to provide optimal conditions for the best upbringing of the kids. Instead of instant granting custody to the mother, family courts nowadays consider preferences of the children, mental, physical and financial aspects of each parent, relations between each parent and the kid, home environment and community aspects, such as school, hospital as well as the distance between them and residences of the parents. According to that, most family courts prefer the option of joint custody, but sole custody is also an option. Joint custody is an excellent option for those parents who get along enough to take care of the kids together. This means that both parents will discuss crucial questions regarding child’s education, health care, joining sports and other activities, opting for schools and all other important aspects of the child’s life. One parent is considered to be residential (custodial), and the other one is non-custodial, but the time spent with a child is split almost equally, and the decisions are made together. If parents have a troubling relationship and cannot work together, not even when it comes to essential aspects of the child’s life, the court will assign a kid to the residential parent, which is usually the mother, but not necessarily and this parent will be in charge of these crucial decisions. The other parent gets a schedule of visitations and the granted right to be a part of kid’s life. All my services are available to the parents fighting for their custody rights. With the individualized and personalized approach, I will create an effective strategy to ensure your rights as a parent.